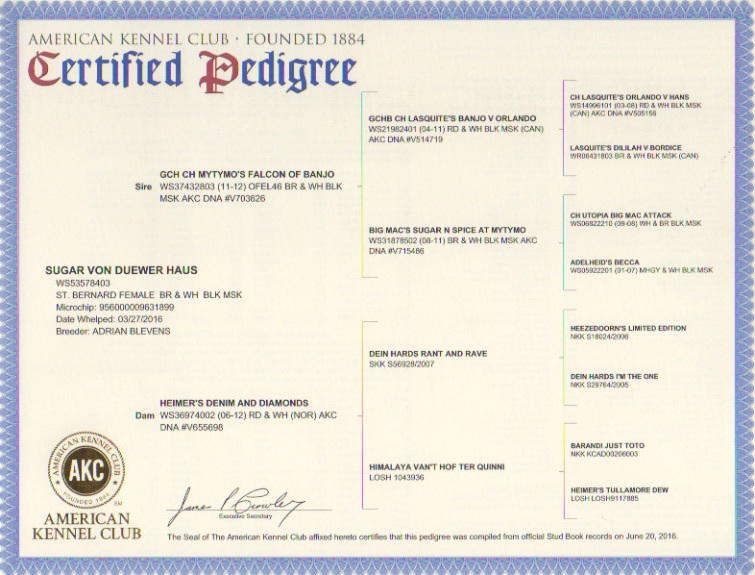 Click HERE to see her AKC Pedigree. "SUGAR" is a new and fantastic rough coat female from the very successful show kennel, "Starlight Saints," out of Missouri. She is sired by one of their American Grand Champions, and her mother is a European import from another higly successful show kennel out of Norway. While we continue to add both American and European Championship bloodlines, we never forget the importance of temperament. 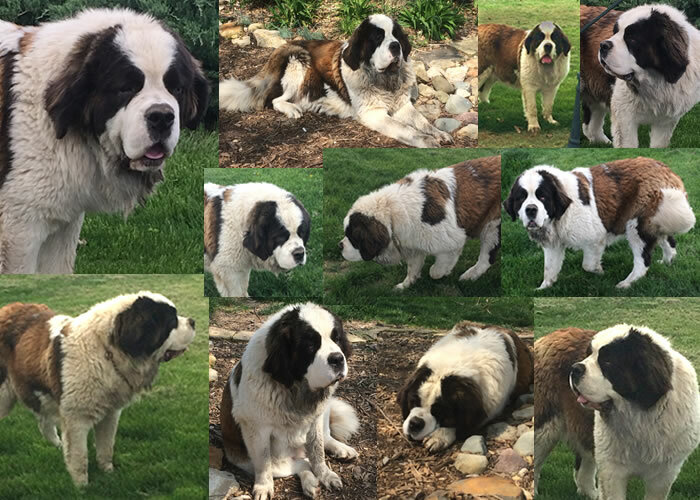 It is our firm belief that the character of a St. Bernard is the single most crucial criteria for becoming a part of any family. And Sugar is absolutely one of the most kind and loving Saints we have had the pleasure to add to ours. She will be a huge asset to our breeding program, for not only does she bring additional size and beauty to our pack, she also adds a quirky fondness for "talking." She is quite the conversationalist, and doesn't mind sharing with you all her thoughts and opinions. We look forward with pleasure to seeing her future litters, as she certainly lives up to her name!